Earnest and naive solicitor Jonathan Harker travels to Transylvania to organise the estate of the infamous Count Dracula at his crumbling castle in the ominous Carpathian Mountains. Through notes and diary entries, Harker keeps track of the horrors and terrors that beset him at the castle, telling his fianc' Mina of the Count's supernatural powers and his own imprisonment. Although Harker eventually manages to escape and reunite with Mina, his experiences have led to a mental breakdown of sorts. Meanwhile in England, Mina's friend Lucy has been bitten and begins to turn into a vampire. With the help of Professor Van Helsing, a previous suitor of Lucy's, Seward, and Lucy's fianc' Holmwood attempt to thwart Count Dracula and his attempts on Lucy and consequently Mina's life. 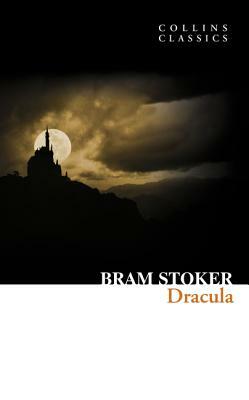 Arguably the most enduring Gothic novel of the 19th Century, Bram Stoker's Dracula is as chilling today in its depiction of the vampire world and its exploration of Victorian values as it was at its time of publication.